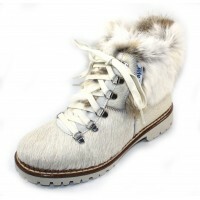 Inside zipper boot with rabbit fur collar. Front lace. Warm linings throughout. Rubber lug sole. Made in Italy. 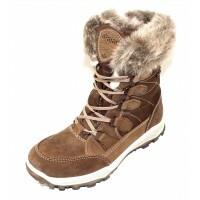 Inside zipper boot with rabbit fur collar. Front lace. Warm linings throughout. Rubber lug sole. ..